Vodafone, headquartered in London, released three smartphones in 2017 namely: Smart V8, Smart E8, and Smart N8. This 5.5 inches touchscreen display comes packed with a 16MP camera, 3GB RAM, and 3000mAh battery. Runs on Android Nougat OS and the screen is protected with an Asahi Dragontrail glass. The unit is available for purchase since June 2017. A rear-mounted fingerprint sensor snaps the unit ON. Check out the 10 best cases for Vodafone Smart V8 in this list below! Exclusively made for Vodafone Smart V8, this is a flexible back cover case that partially encapsulates your phone. The back is protected from scratches, scrapes, dust, debris, daily wear, and tear. The flexible gel TPU is made resilient and sturdy, so it will not fail even under extreme wear conditions. The precise mold offers a snug fit. This case by Zhou Yunda is a soft TPU back cover case that is made resilient to wear and tear. Your phone is protected from scratches, scrapes, oily handprints, and smudges. The unit is brightly UV ink printed for a colorful persistence. The precise mold offers an exact fit. Precise cutouts are made for camera, speakers, charging slots, and jacks. You can check out several other designs in this link below. This is an incredibly classy flip cover case manufactured from premium quality PU leather. It is made easy-to-grip, light-weight, and offers a comfortable hand hold. Precise cutouts are made for the camera and controllable buttons. Your phone is protected from the front as well as the back and offers a competitive fight against dust, debris, scratches, grime, and wear. Precise cutouts allow easy access to all ports and functionalities without taking the case off. This is a flexible gel case that will keep your phone smart and stylish. The TPU resists dust, debris, scratches, and ensures that no impacts pass through it to damage the phone. The back is UV ink printed with striking designs. Easily snaps on and off while offering a precise fit as well. 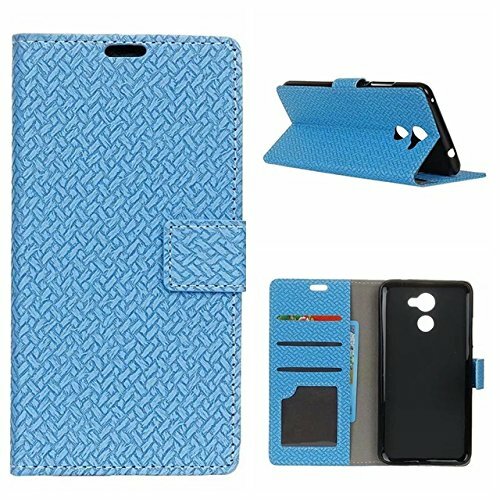 This case by Yhuisen is a folio styled flip cover case that ensures the protection of your phone from the front as well as the back. It is custom designed to incorporate functionality, style, and ergonomics. The TPU clamshell offers a precise fit for the Smart V8. The flap is interiorly lined with soft fabric that keeps the display in top-notch condition. The flap can also convert into a kickstand for hands-free and landscape viewing. Available in seven different colors! If this is the motto of your life, you might want to strengthen your assertion by buying this case. This back cover case protects your phone from dust, debris, scratches, daily wear, and tear. The unit is precisely manufactured so that the mold offers an exact fit. Easily snaps on and off and the unit is made flexible yet incredibly resilient and sturdy. This case made from premium quality silicone protects and adapts flawlessly to your smartphone. For all the “Rockets and Planets Lovers,” this case is a must-buy. Easily snaps on and off and the soft, scratch-resistant TPU protects your smartphone from dust, debris, scrapes, and daily damage. The smooth finishing touch provides you with a premium look and excellent hand feel. This is a vertical flip open case made exclusively for the Smart V8 phone. The exterior is made from premium quality PU leather that offers a comfortable hand feel. A shockproof and scratch-resistant TPU clamshell holds your phone snugly. The vertical flip style opens down with one hand for ease of operation. Quick and secure snap-on front cover closure and unique design allows easy access to all functionalities, without removing the case. An excellent choice! Made from premium quality gel TPU, this cover case provides you with the most striking and vibrant designs that are sure to make you gleeful. This resilient and flexible case covers the back, sides, and edges well and provides top-notch protection against shocks and drops. Easily snaps on and off and the back is brightly UV ink printed for a deep-colored persistence. This is an ultra-thin and transparent back cover case that is ideal for those who want to maintain the phone’s original look and feel. The flexible silicone TPU is soft to the touch and pocket-friendly. Cut outs for the camera and controllable buttons are made available for the easy access without taking the phone’s case off. Your phone is protected from everyday bumps, scratches, dust, and fingerprint smudges. Made ultra-thin, light-weight and compact-resistant!